The name "Malpais" originated by the Spanish and in Spanish means "badland". These are areas near volcanoes that are hard to traverse and are unusable for crops. Also associated with lava plains found near a volcanic field. Pronounced "Mal - pais". 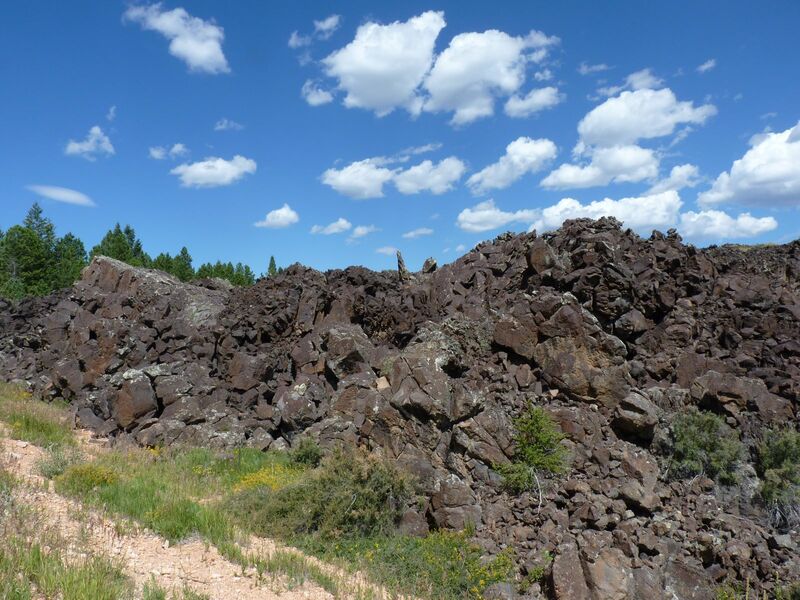 Also associated with lava tube caves, sinkholes, ice caves, and pyroclastic deposits from cinder cone volcanoes. Found all over in the desert southwest and especially in the southern states. There is even an El Malpais National Monument in Western New Mexico. Arizona, California and Utah all have numerous locations with the same features. There are Malpais in the desert southwest in all the states. Don't hesitate to stop and take a look. The State and National Parks are also worth a look. Seen from a distance these look like places you could hike across. Enlarge the second image to see why you wouldn't get very far. Both these photos were taken just east of Cedar Breaks National Monument. 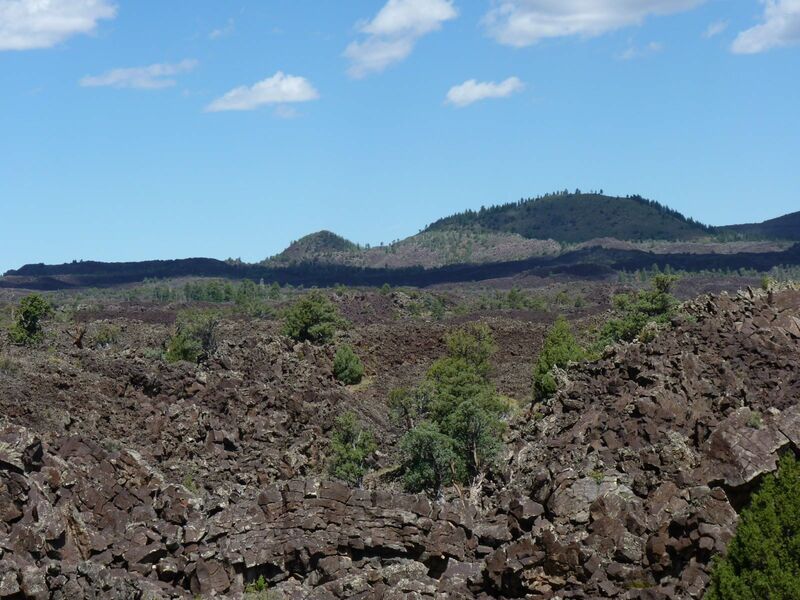 There is one very large, old, extinct volcano in this area that was probably responsible for all these lava flows. If you're in the area then head east on state route 143 and you'll see the Malpais all along the road. You can get out and inspect them yourself. Don't miss the enlargements here. Ice caves are always a neat feature and if you run into one, take a look. We went into the one in Idaho years ago and the cave itself was gigantic and worth seeing.